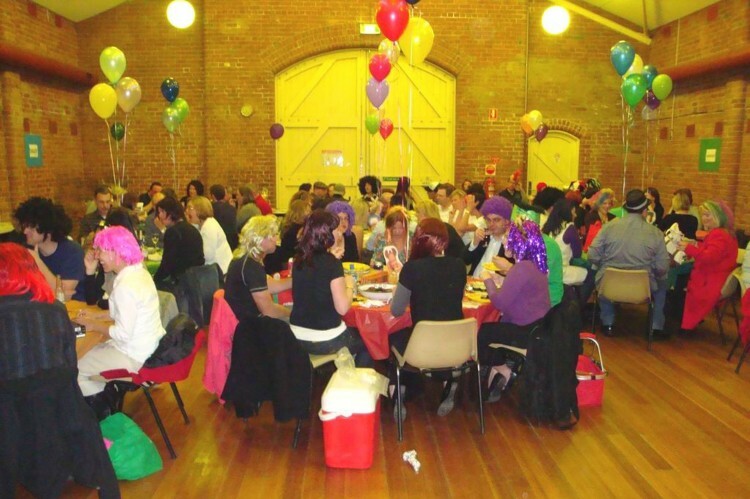 Fundraising Event Notes | Melbourne Trivia Co.
Melbourne Trivia has a great deal of experience in planning and presenting fund-raising trivia events. Here are some suggestions arising from our experience that you may find useful when planning your event. Don’t overdo the fundraising. Better to have three or maybe four strong fundraising activities than a series of $1 or $2 activities. A lot of fundraisers start with a game as people arrive – maybe the $100 note game, then they go round selling raffle tickets, then there are lucky balloons and then, maybe another raffle. We play two fundraising games as a rule, one of which is a very strong fundraiser in the second half. We bring everything needed for the trivia programme – the host (of course!) the technical equipment, answer sheets and pens. We also provide a microphone for you to use for thank-yous etc. You provide the venue, prizes, catering (if any) and of course, the guests. You will need to have bidding sheets and pens if you are having a silent auction and, most importantly, obtain prizes and items for games, raffles, silent or live auctions. Because this is a special event, it’s worth making the room look good. Just having cheap coloured plastic tablecloths can make a room look brighter. Balloons can look great, but be careful that they don’t stop people at the back from seeing the video screen. If the event is for a child-care centre, school, kinder etc., having some decorations made by the children can be great. If there are more than half a dozen tables, it is a good idea to have numbers displayed on each. Again, primary schools, kinders and child-care centres can involve the children in making these as well as other decorations in the room. We will need a table for our scorer, computer and amplifier – a normal sized table or desk around 90cm – 100cm square is fine or we can occupy one end of a trestle table. We will also require a standard power point within the room, preferably not too far from the part of the room where we set up the screen. Because we will have several activities where guests will be ‘up front’ to compete, there should be a space of about 3 metres in front of where the projection screen will go. In any case, remember that we need to have a projector on a stand about 3 metres from the screen. It is also useful if you set up the tables at an angle that will allow everyone in the room to be able to see the screen. The hardest part of raising money is obtaining donations of prizes and auction items. When asking for donations, make sure that you back up any requests with a written request on your organisation’s letterhead. For the winning team:Prizes for the winning team can be made up from whatever has been donated. As a rule, people are happy to divide up a hamper of different items – you do need to ensure that there are at least ten items of similar value. Two good prizes for the fund-raising games:For the fund-raising games, to put it bluntly, the better the prizes, the more money you will raise. For our second fund-raising game, accommodation at a hotel or holiday house, theatre tickets bundled with a restaurant dinner are all excellent. Use your imagination. Avoid donations where you have to pay to get the prize or sign up for something. The rule for these prizes is something that everyone in the room would like to win. Three small prizes:For games where a ‘hero’ competes for his or her team. These can be pretty well anything that has been donated, from bars of chocolate to restaurant or cinema vouchers or bottles of wine. They do not have to be all the same. As we’ve said, you should avoid donations where the winner has to pay for the the prize or, worse, where the winner has to sign up for something. Generally speaking commercial gym or health centre ‘free’ memberships are not good as prizes and ‘one free meal with one paid for meal’ type prizes are bad – you don’t want winners to have to pay for their prize. If you are holding a silent auction, make sure that each bidding sheet has the name of the item at the top. Also at the top, have a note that only whole dollar bids will be accepted (click here to download a sample bidding sheet). For items worth more than $20, it’s often a good idea to write a dummy bid of about a third of the retail price of the item. This is better than printing a reserve, which often discourages people from bidding. You will have to provide pens and bidding sheets for the silent auction bidding. A live auction should only be held for valuable items. A general rule is not to have more than three items in live auction, usually it slows down the evening and often only a few people are interested in the auction. You will need containers for collecting money: small baskets from $2 shops and take-away food containers are suitable for this. It is a good idea to have $20 to $30 in one dollar coins available for guests who don’t have change. As money comes in, we recommend storing it in an innocuous looking bag kept out of sight. Never count money while guests are present. For the fund-raising games, you will need volunteers to collect money. For Four Corners, four collectors are needed, at least at the start of the game. After setting up the technical equipment on the night, the host will then go through the prizes with you and may make suggestions on how to better use what is there. At the same time, she or he will also talk with you about such features as raffles and draws and live auctions. If the host has suggestions that you disagree with, that’s OK, tell us what you want – it’s your night and we want you to enjoy it as well as the guests. Having said all that, don’t get too stressed – have a fun night.